Dry roast all the masala.Once cool grind it into smooth paste adding little water. Heat oil in a cooker,add onions.Saute till onions are light brown in colour. Then add mutton,salt,turmeric powder and ginger garlic paste. Mix,cover and cook for 3-4 minutes. Add the masala paste.Mix throughly.Let it cook for another 3-4 minutes. Then add 1 glass of water and chopped tomatoes. Pressure cook for 4 whistles or until the mutton is soft and gravy is thick. Garnish with ginger juliennes and serve hot with parathas or just plain rice. Wow! Very delicious malwani fry! Nice pics. Omg, wat a beautiful malvani mutton, mouthwatering here..
New template looks really good Sarita... very pleasant. 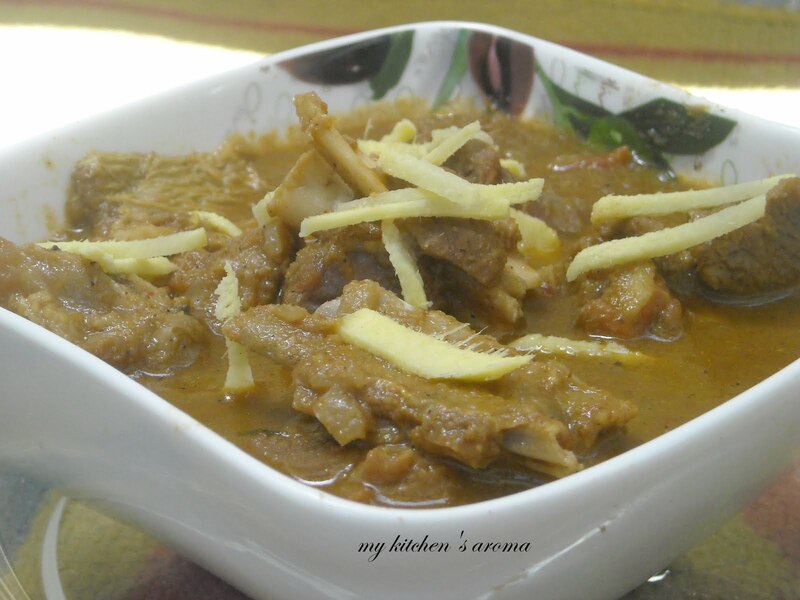 Malwani mutton looks yummy... nice presentation and clicks. Mutton preparation looks delightfully different and wonderfully Tasty. Thanks for showing a different way to cook Mutton. 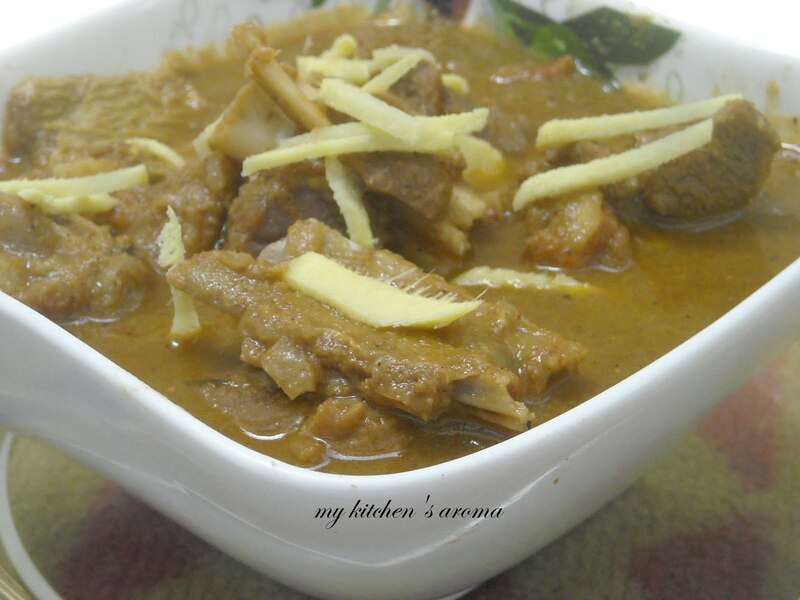 malwani mutton looks delicious..this malvani recipename is new to me..
Looks tempting and delicious, nice click. I run a cooking topsite at http://easybreezyrecipes.gotop100.com , which is PR3, and was wondering if you would be interested in exchanging links with it. It will help increase traffic to your site as well as mine, and will provide a relevant link to your site. If you are interested, go to http://easybreezyrecipes.gotop100.com and click on “Add Your Site” located at the top of the page.